Growing vegetables in concrete jungles can be fun, fruitful and a great way to engage private and corporate citizens. Rooftop Republic is a social enterprise dedicated to revolutionise the food system and transform the relationship people have with their food. We are a truly multi-disciplinary team and we collaborate with architects, engineers, organic farmers, chefs and nutritionists to develop and deliver urban farming solutions. Our innovative approach and end-to-end services - from design, installation to maintenance and community engagement - aims to incorporate urban farms into city- dwellers’ lifestyles and make it commonplace. 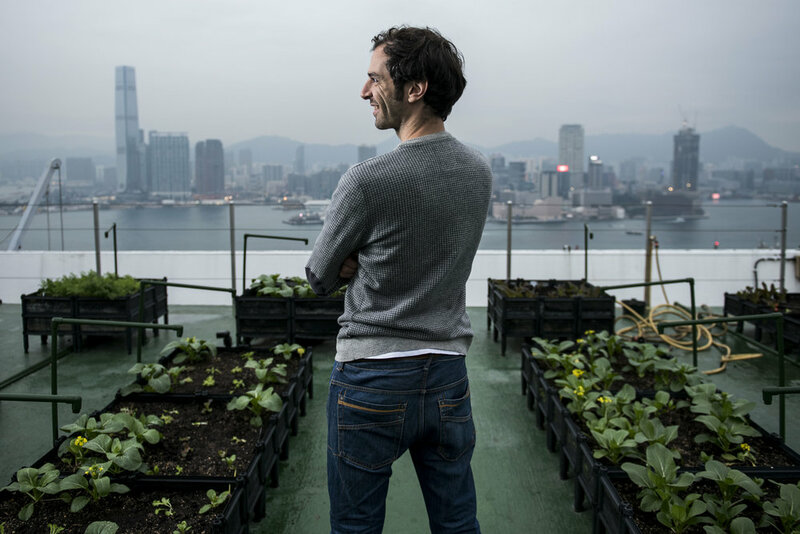 Pol Fàbrega is the co-founder of Rooftop Republic and has been pioneering the urban farming movement in Hong Kong over the last five years. Originally from Barcelona, Pol started his career in the non profit sector working on a wide range of issues, from human trafficking to education and human rights. In 2012, he relocated to Hong Kong where he has been working to help transform the way we grow, consume and think about food. Within the first two years of operations, Rooftop Republic has transformed over 23,000 square feet of underused space into 30 urban farms across Hong Kong and China and has organised more than 230 events around organic farming and sustainable living. On his own rooftop, Pol is currently growing chilies, pumpkins, eggplants, morning glory, amaranth, rosemary, oregano, basil and mint! City Hydroponics was started by Wouter van Marle around 2013. Wouter, who lives in a village house, has had a long held interest in and desire to grow vegetables and other plants at home. Early attempts at soil growing failed, and that is when he discovered hydroponics as growing technique. He realised that while hydroponic growing is very suitable for rooftop growing and for growing in otherwise confined spaces, there was not much available on the market in terms of supplies or complete growing installations. It was really hard to source the various components needed to build a system. On top of that, Wouter realised that available systems on the market are not suitable for confined spaces, not even for larger spaces such as balconies. He set out to design and build systems that fit comfortably on balconies, while being easy to maintain, especially for city dwellers that do not have the time to tend to their plants every single day. Nevertheless, the cramped living space of Hong Kong remains a hurdle. People not knowing about the existence of hydroponic growing, or what it is, is another hurdle. A lot of education has to be done for people to realise what is possible, and to get the whole idea of growing food at home out to the masses. In the future, Wouter hopes to see small vegetable patches all over Hong Kong. On balconies, utility platforms, rooftops or even just the simple planting boxes built on the outside of buildings. No matter whether you are a DIY enthusiast or you just want to be able to harvest some fresh herbs now and then. Everyone should be able to grow at least some of their own food, even when living in the city.